Sir Guy & Sir Goband. 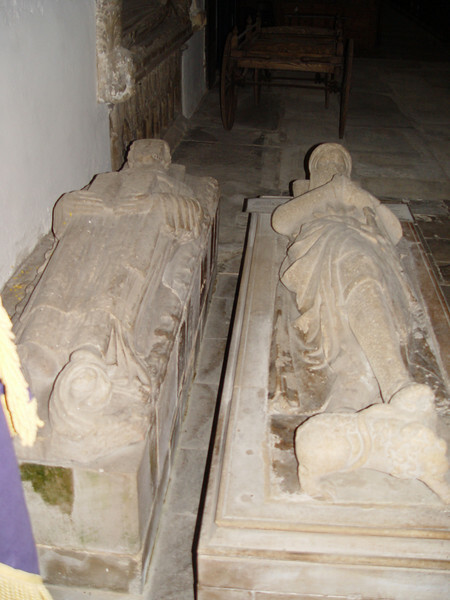 The Crossed Legged Knight, This and the mutilated tomb are thought to be Sir Guy and Sir Goband lords of the Manor. Crossed legs indicate a Crusader, he may have built part of the church as a thank offering for his safe return. Early 14th centry.